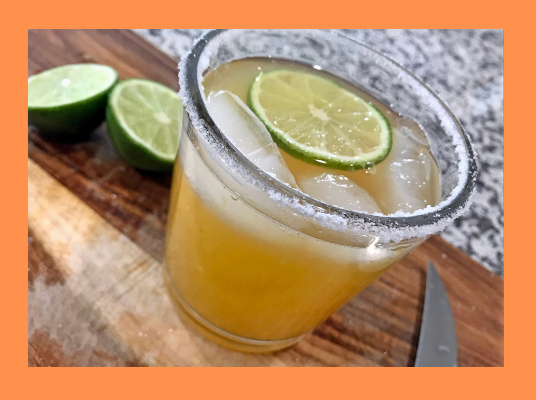 Try Our Tangelo Margarita Recipe! Time to break out the cocktail shaker and mix up a tangelo margarita just in time for National Margarita Day. 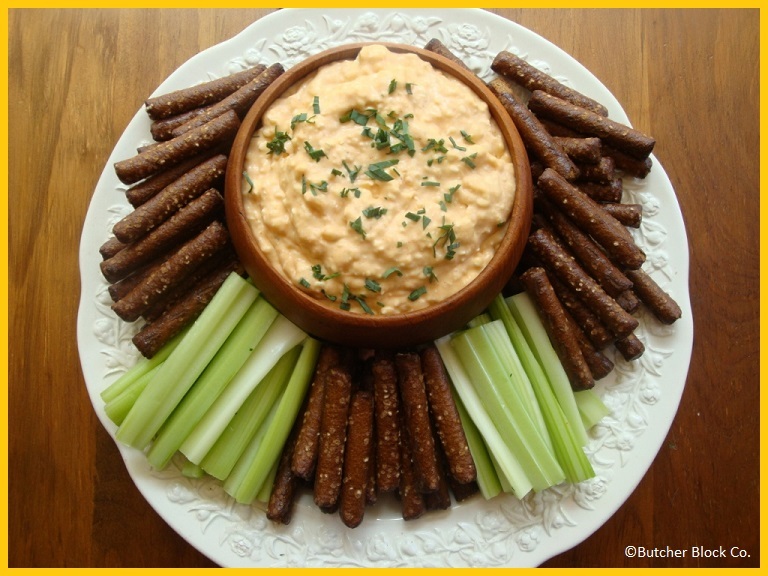 Our guest blogger, Erin, from Food Wise Family, will show you how. Margaritas are my go-to drink when I want a cocktail. They are oh so refreshing and the perfect balance of sour and sweet. My tangelo margarita tastes similar to the classic margarita, but leaves triple sec out of the mix. For those of you who may not recall, tangelos are a hybrid of a tangerine and pomelo/grapefruit. 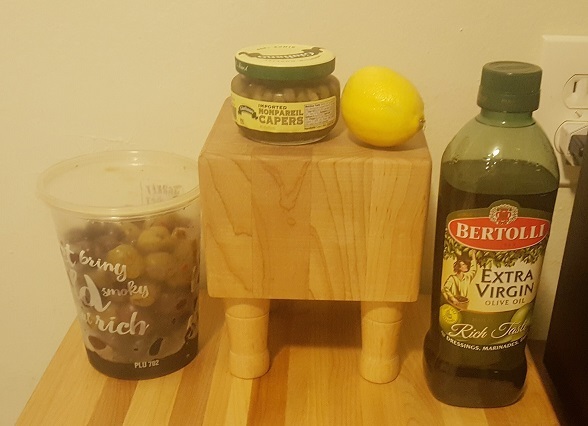 I mainly eat a paleo diet, so I am always trying to recreate my past food/drink loves to be paleo-friendly. 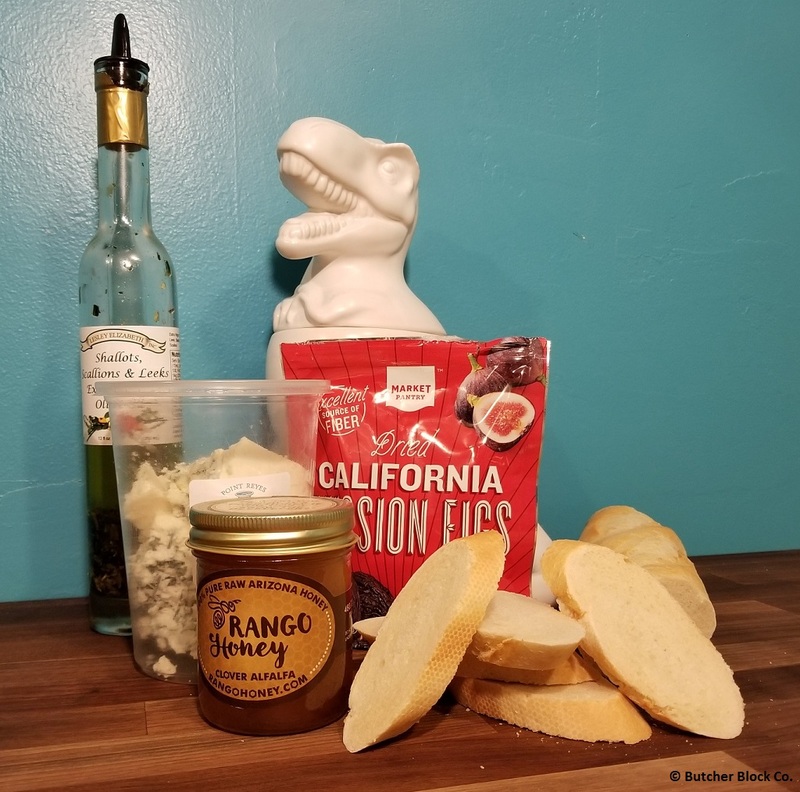 Alcohol itself really isn’t paleo, but when recreating this recipe, I made sure there was no added refined sugar or other icky additives, like most mixed drinks tend to be filled with. And so, the tangelo margarita was born! When it comes to choosing the tequila for your tangelo margarita, make sure it is blanco/silver and 100% agave. Blanco tequila is usually used for the classic margarita because its pure flavor compliments the bold citrusy goodness that is a margarita. Tequila that is not 100% agave has sugars and other additives, so it’s best to make sure it says 100% pure agave on the bottle. Triple sec is typically found in a margarita recipe, but I cut this from my recipe. Triple sec is a type of orange-flavored liqueur, and liqueurs are high in sugar. By using the tangelo in the recipe instead, the sweet orangey flavor is still present. I always have a tough time juicing limes because they are so small and the rind is so tough. I found the best way to get the most juice out of a lime is to stick a whole lime in the microwave for approximately 15 seconds. 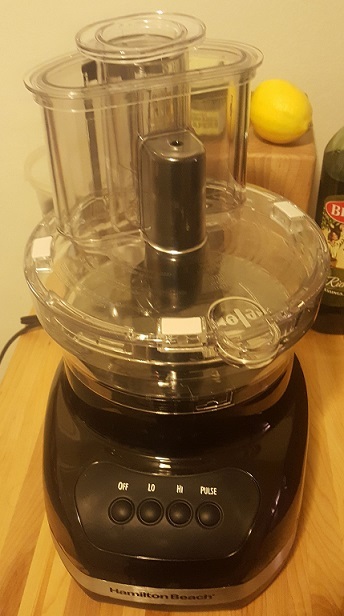 This softens it up a bit and makes it so much easier to juice. 1. In a cocktail shaker, combine all ingredients and add ice. 2. Shake well and strain into a salt-rimmed glass with fresh ice. 3. Garnish with a lime and enjoy! *Recipe Note: You can use honey in place of maple syrup, but let the honey dissolve in the cocktail shaker before you add the ice. If you add ice too early, the honey just won’t dissolve. Looking for another margarita recipe? Check out our Hibiscus Margarita. 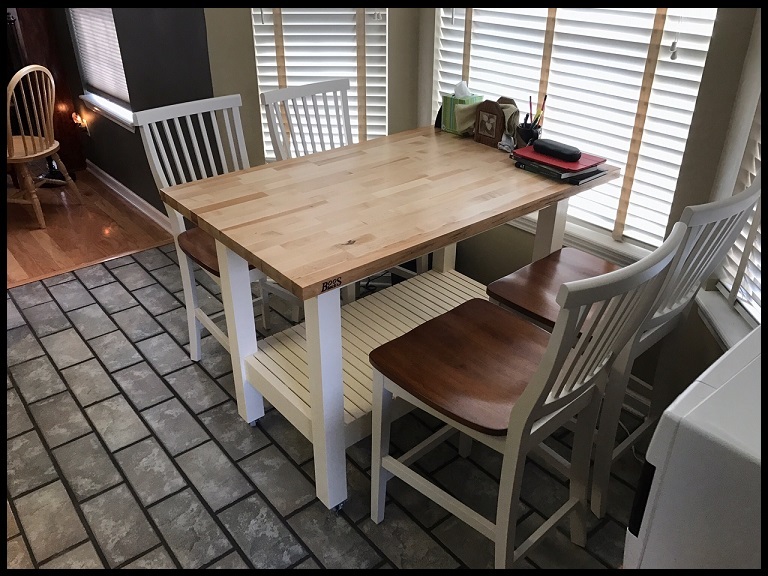 Butcher Block Co. Loves Hard Maple, Also Used To Make Bowling Lanes and Pins! National Bowling Day is celebrated this week, with most activities held on the second Saturday of August, which is August 12th this year. If you’re in the know, you likely know that we all owe a debt of gratitude to the Egyptians alive circa 3200 BC for inventing the pastime. They employed “balls” made of the husks of grains bound together with strands of various ancient plants, and later balls made of porcelain. Fast forward to the 1880s. That’s when Brunswick Corporation began making bowling balls, pins, and wooden lanes and selling them to local tavern owners seeking ways to entice patrons to spend more time onsite. But it wasn’t until the 1950s that the Golden Age of Ten-Pin Bowling hit full stride and professional bowlers earned incomes rivaling those of other sports professionals. Why, you might wonder, does any of this interest Butcher Block Co. and its loyal followers? Here’s why. Not only are bowling lanes constructed of hard rock maple – one of our favorite North American hardwoods and the most popular of them all – so too are bowling pins. Think about it: bowling lanes are subjected to repeated physical abuse, day in and day out. Consider the fact that the typical bowling ball – made of polyurethane and an outer layer of resin that reduces bounce and allows the ball to roll smoothly – weighs as much as 16 pounds and is hurtled through the air and onto the lane from heights as high as five feet. It’s only natural to wonder, what type of material can possibly endure such abuse? While some bowling alleys are made of synthetic materials, authentic lanes are comprised of wood – typically pine and maple. Pine, a softwood, is used for much of the lane – the section between the ball landing zone and the pin deck. The approach, landing zone and pin deck are made of maple, however. Maple is used at the front and back of the bowling lanes simply because it’s so durable (hard and dense). Maple is better able to withstand the force of heavy balls dropped on it, as well as the stress on the far end from heavy wooden pins being flung against it. Bowling Pins Are Made of Hard Maple, Too! See bowling pins as well, are crafted out of rugged maple blocks that are turned on lathes to be transformed into the classic, iconic bowling-pin shape before being coated with plastic and finished with a high-gloss lacquer paint. So What Should You Do to Celebrate National Bowling Day? Obviously, get out and bowl a game or two, preferably with others, since some among us look askance at solo bowlers, sometimes disparagingly called “sowlers.” Better yet, get the whole gang together and try some “rock and roll” bowling or midnight bowling. There’s no better way to honor the sport and friends at the same time. If you have not bowled lately, you will be amazed at what a modern bowling alley has to offer…large screen TVs everywhere, music videos, sports channels, colorful lights, automated scoring, and more! Get into the cozy Christmas mood with these festive cocktails from Claire (you know how we love a seasonal drink!). Whether you are spending a quiet night in or hosting a holiday party, Claire has you covered in the cocktail department! Let’s get mixing, Claire! This year seems to have gone by in record time, which is good, because 2016 has been a real stinker and I’m not going to miss it when it’s done. Usually in December, all I want to do is get cozy and Christmassy, but this year I’ve been having a tougher time than I normally do getting festive. Luckily, I have devised a brilliant, alcohol-fueled plan to grease my Christmas spirit wheels, and it all starts today, as I trim my tree. 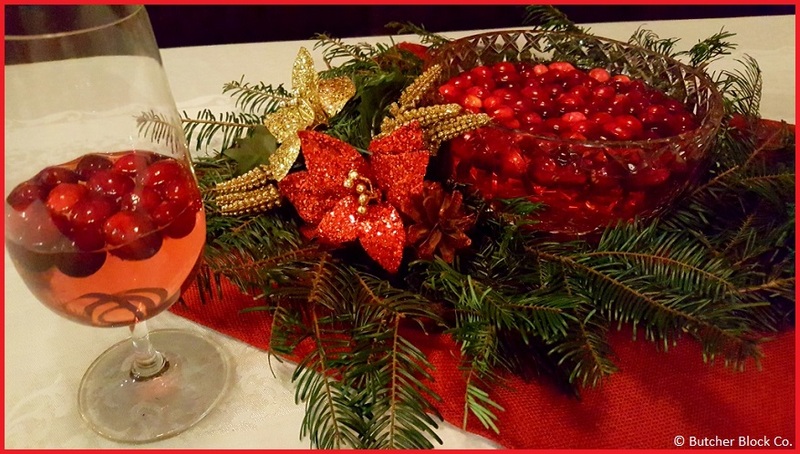 A cozy Christmas cocktail is the perfect way to fire up the holiday spirit! As a child of a mixed-religious union, I grew up celebrating both Christmas and Chanukah, though with so many fun activities involved, Christmas always won out as the bigger deal of the two. Our family tradition was to spend Christmas day at our Grandma’s house, so we didn’t always have a tree in our house. Well, I am a strong believer in creating your own holiday traditions, so now that I have my own house, I always have a Christmas tree, no matter where I’ll be on Christmas day. The week after Thanksgiving, Pier and I go out to the tree lot, we pick out a tree, and then he helps me set it up so I can decorate it. Well, this year, Pier has had to work late all week so I went to the tree lot by myself. I tied the tree to my car by myself and then unloaded and stood it up by myself. I knew I was going to need some powerful holiday magic to get me through decorating by myself. What better than hot cocoa? I used to always make Mexican hot chocolate from scratch whenever I got a craving for cocoa, but I found that I actually wanted cocoa more often than I was willing to put the effort into the process. Since then, I have gotten smarter and/or lazier, and I have adapted my own recipe for an instant mix from Alton Brown’s own recipe (so you know it must be good). Mix together one and a half to two cups of powdered sugar, one cup of unsweetened cocoa powder, two and a half cups of dry milk powder, two teaspoons of cornstarch, and one teaspoon of salt. Add cinnamon and cayenne pepper to suit your taste. I like a lot of heat in mine, so I go a little heavier on the cayenne. Just add hot water, et voilà, you’re in cocoa heaven. This mix can keep for a whole year in an air-tight container, but I doubt it will last longer than a month, especially if you prepare it the way I like it best. Put two spoonfuls of cocoa mix into your mug. Add some coffee if you have some made, or a little bit of instant espresso if you don’t. Pour in hot water, leaving about an inch of space at the top. Stir until everything is dissolved, then fill the space to the top with Irish cream. 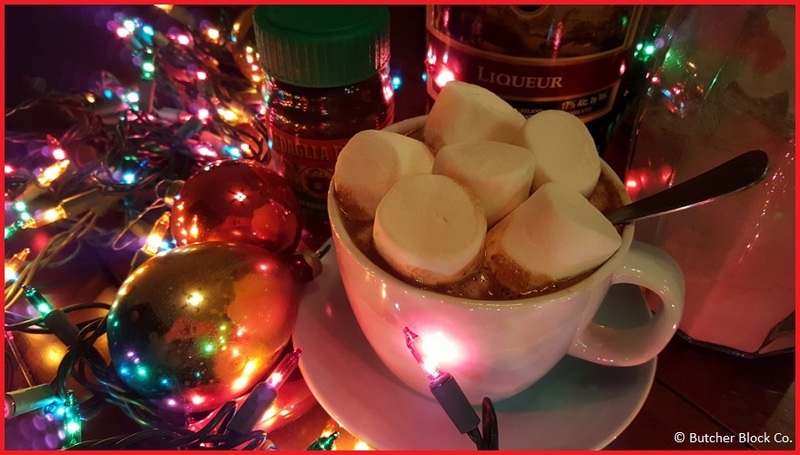 Top it with marshmallows (obviously) and you are ready to get cozy while you untangle your lights! Cocoa is nice while I enjoy the Fireplace for Your Home on Netflix, but it can be a little rich for everyday drinking. For something equally warming, I recommend mulled cider. Mulling spices make some of the best smells on the planet, and they go great with the piney smell of the Christmas tree. This will make your home smell like a cozy Christmas cabin. 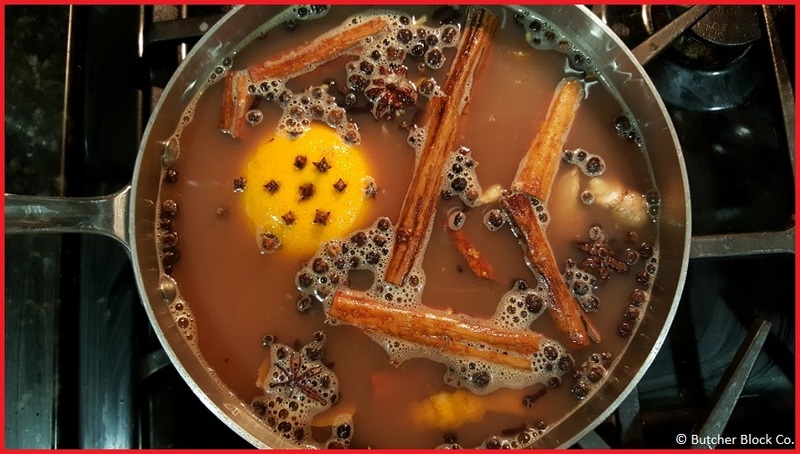 To make mulled cider, just pour some good apple juice or cider into a saucepan. Add a tangerine, either pierced with cloves, or sliced. Also add a couple of whole star anise, a good tablespoon or so of allspice berries, and two or three cinnamon sticks, cracked. I like to add some ginger to my cider as well, because I like the kick. Add a little wine, if you like, and bring the whole pot to a gentle boil. Simmer for 15 minutes, and strain. If you need an extra pick-me-up, bourbon, rum or brandy will all blend beautifully with your cider. Of course, the Christmas season isn’t just about cuddling. December has only just started, and I already have three parties on my calendar. Hot cider works nicely at a quiet dinner party or a bonfire, but for a traditional Christmas soiree, I’d say that punch is best. It can be made in large batches, so the host doesn’t have to tend bar, and it makes a festive and stylish centerpiece. There are a lot of ways you can go with your punch, but I think it’s nice to keep it simple. For this one, simply pour a whole bottle of sparking white wine (Prosecco, Champagne, whatever!) into your punch bowl. Add a cup of cranberry juice cocktail, half a cup of vodka, and a squeeze of lemon or orange juice to taste. I like to freeze a bag of cranberries and throw them into the bowl, too. They help keep the punch cold, and they add a festive flair. I also recommend setting your punch bowl on top of a bowl of ice or some freezer packs wrapped in a napkin or towel to keep it chilled. Whatever you’re drinking this holiday season, I hope you are with people who love you, or at least a cat that doesn’t mind sharing the room with you. Happy holidays to you and yours. Stress less this Thanksgiving with some great tips from Claire. My mom and brothers do pretty much everything for Thanksgiving in my family, so I couldn’t really stress less even if I tried. For those of you who take a more active role, keep these tips in mind to help yourself get through the day. Tell us what to do, Claire! The world hasn’t ended quite yet, which means that Thanksgiving is still going to be just next week, if you can believe it. If you’re like me, you have been so worried about an uncertain future that you have all but forgotten about the upcoming holiday. In my case, that says a lot, because the holidays where I get to cook for people are kind of my favorite. In such a time, I think we can all use a little bit of help pulling together a successful Thanksgiving party. After a week of hand-wringing, this is what I’ve come up with to help us all stress less. Put away the Halloween decorations that are still sitting around on your front porch. I know you’ve been distracted this week, but the skeleton is sending the wrong message to your guests, who are expecting your home to be a safe space. 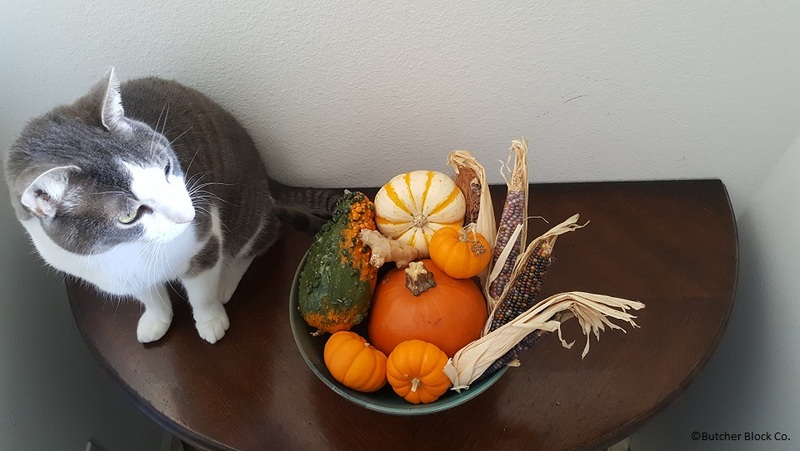 The corn stalks and decorative pumpkins can stay because they are generically autumnal and more harvest-oriented than the rubber rats and giant spider. Speaking of decorative pumpkins, now is the time to pick up some additional seasonal gourds. The few remaining pumpkin patches might even have some on sale. They make great centerpieces and look lovely and festive artfully arranged in a bowl on the front hall table. If you are making centerpieces for your table, though, keep them on the smaller side. You want to leave lots of space on the table for dishes, and you also don’t want to block anyone’s view across the table. Pick up the tablecloth from the dry-cleaners. Remember when you dropped it off there like 3 months ago? The cleaners don’t charge storage fees, but maybe they should. Invite friends and people you love. We can’t all be with our families at the holidays, and maybe we don’t all want to be. If you are hosting Thanksgiving, why not cast a net for friends who don’t have a nearby or welcoming family? This year especially, many people will be looking for something for which to be thankful, and a warm and welcoming table is a good start. Make mulled cider. If you start it in the morning, your house will smell like heaven all day. Aside from that, if you are preparing a Thanksgiving feast, you have a long day on your feet ahead of you. You definitely want to stay sober until you sit down at the table. Sipping on cider will help you stress less; it is satisfying and warming, but not alcoholic enough to incapacitate you before dinner starts. Pick out all of your serving dishes ahead of time. Make sure you haven’t accidentally double-booked your purple ceramic casserole dish like last year and then you don’t know what you’re going to serve the stuffing in. Hypothetically speaking, obviously. You are going to be hecka busy with that bird and that gravy and that stuffing and those beans and potatoes. Allow yourself to stress less by finding a couple of people who are willing to wash dishes as you go , tend bar, and make an emergency last-minute run to the grocery store (don’t act like you’re not going to need one). You’re not kidding anyone with that green salad. 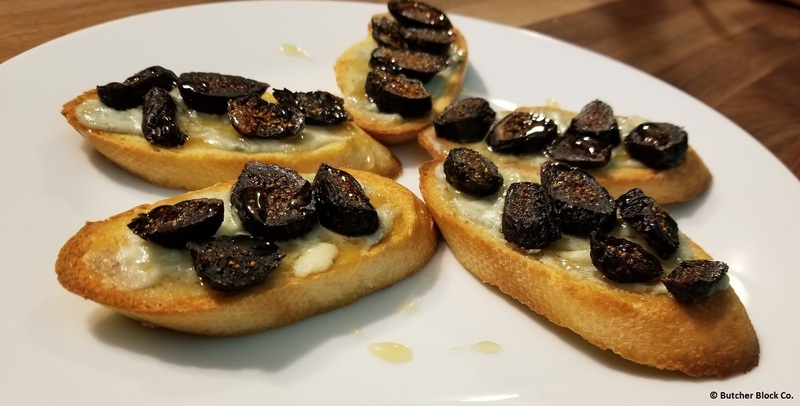 No one will have room left on their plates for vegetables that haven’t been cooked in bacon fat or cream of mushroom soup, and you’re probably going to need the roughage the next day, so you might as well save yourself the time on Thursday. Empty out your fridge this weekend so you don’t have to sort through it after work on Tuesday to make room. Order a fresh bird today so you aren’t stuck next Thursday morning with a frozen bird that will never thaw in time. Figure out what you can make ahead of time, and get it done early. If you’re attending as a guest, ask your host what you can bring or do to help. If they don’t give you any direction, just bring a bottle of wine and start doing dishes. If you are bringing a side dish, also bring something attractive to serve it in. I think a small amount of stress is pretty normal for hosting any kind of social gathering, but hosting this event should be fun. My way to stress less is to micro-manage and juggle the entire meal by myself, but maybe yours is to have a pot-luck! The worst reason to do a thing is because that’s the way your parents did it, so make your own traditions! And hold your loved ones close. Despite global warming, this is going to be a cold winter. Happy Thanksgiving. As if the beautiful weather, colorful trees, and pumpkin recipes weren’t enough to make us love Fall, it is also wine harvest season! Claire gets in on the wine harvest celebration every year, and she’s here to tell us all about it. Grab a glass and join us as Claire takes us on a little wine tasting! It can be difficult to remember sometimes that nearly everything on our tables comes from a farm somewhere. Most of us buy our groceries from supermarkets, far away from their farms of origin. In a post-agrarian culture like ours which mercifully makes hamburgers possible, but which disconnects us from the rhythm of growing seasons, we can sometimes forget that autumn is also the harvest season. 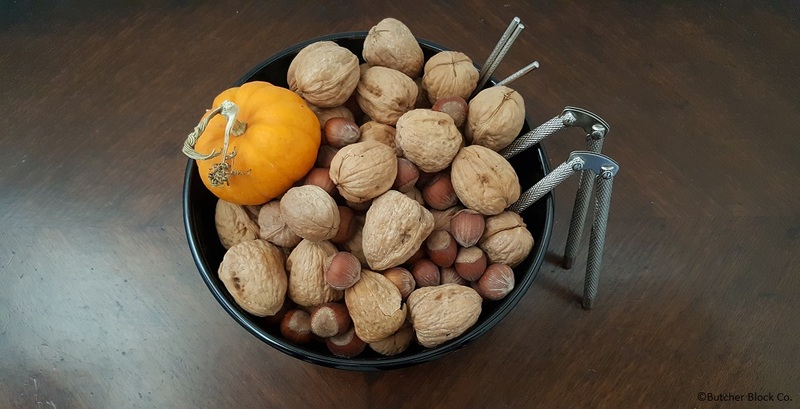 The symbolic cornucopia that graces our Thanksgiving greeting cards has lost its significance for most of us, but for those few who still tend the field or the flock, this is one of the busiest times of year. 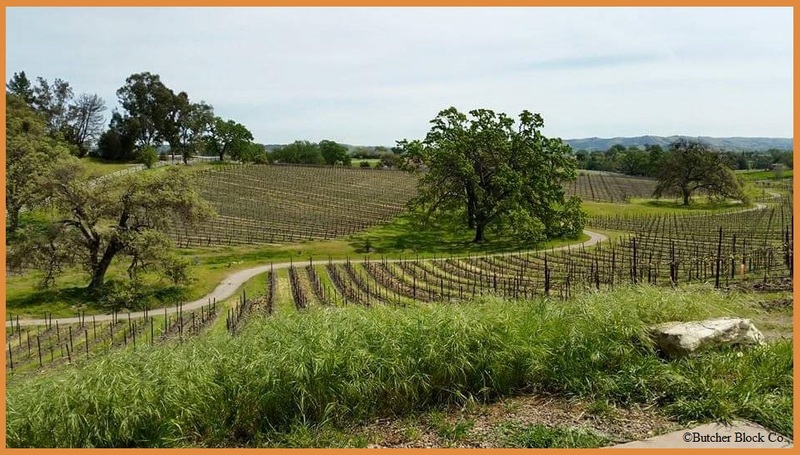 Agriculture is California’s biggest industry, and though we are the country’s leading producer of fruits and vegetables, I am personally most fond of the vineyards. I grew up in a family of alcohol-appreciators, especially when it came to wine. My parents aren’t exactly snobs, but they’re not too far off. I remember visiting my aunt and uncle in San Francisco with my parents once when I was a kid, and they took us up the Sonoma Valley to taste at Ravenswood and Gundlach Bundschu. I was too young to drink, but I still remember the trip quite clearly. Fast forward something like 20 years, and naturally, the first time my mom came out to visit my home in California, my then-boyfriend and I took her wine tasting. At her request, we visited the Sextant Wines tasting room. An hour later, my boyfriend and I were slightly tipsy, packing up a case of wine and signing our first wine club membership. Being a wine club member affords us some privileges, like discounts on bottles and free tastings, and best of all, discounted tickets to winery events. We joined Sextant in the spring. 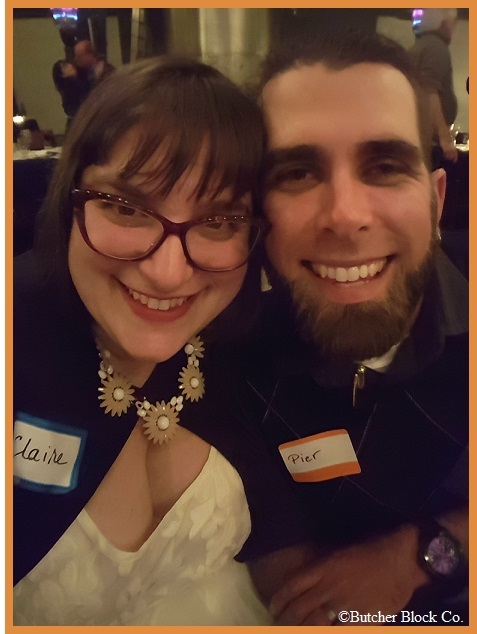 That fall, we got married at city hall and we celebrated with our closest friends at the annual Sextant lobster boil. Since then, Pier and I have gone to the event for our anniversary dinner every year. Every October, right in the middle of harvest, the hard working crew at Sextant changes pace for one week. They clean up their working area and turn it into a beautiful outdoor escape, lit with café lights and surrounded by working wine barrels. They invite their members to join in their harvest celebration with fresh lobster and prawns, and they open bottle after bottle of their fall releases to pour for us. We look forward to this event every year, and it never disappoints. 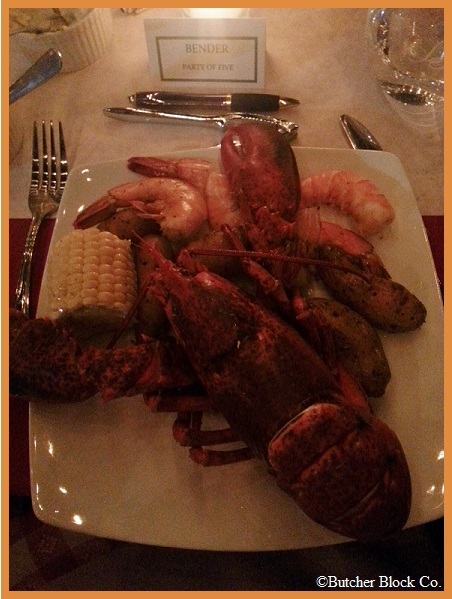 I absolutely love lobster, but I love lobster and Chardonnay even more. And I love lobster and Cabernet Sauvignon the most! vineyards here and to have access to the incredible wines that are coming out of this region, but the world is getting smaller and smaller every day. Only 40 years ago, the rest of the world scoffed at the idea of Californians becoming vintners, but now the Sonoma and Napa Valleys are some of the most respected wine regions in the world. What I’m getting at here is that quality wines can come from anywhere, and anyone; even those of us who stock our wine racks at the supermarket can have access to really excellent bottles of wine at nearly any price point. There are hundreds of tasting guides out there, and though I am an enthusiastic drinker of wine, I don’t flatter myself that I can offer any fresh insights that the experts may have missed. All I need to know is that my meal is merrier with a bottle of wine on the table. So what do you look for in a bottle of wine? 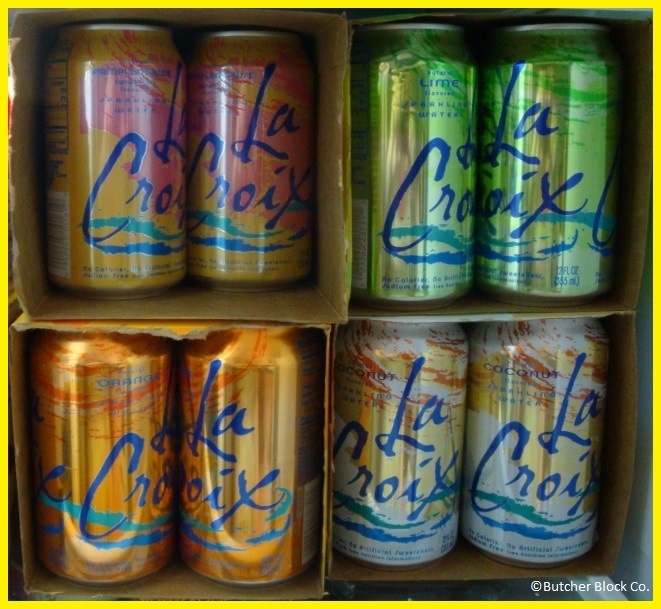 Like seemingly everyone else in the U.S., I have become fairly obsessed with La Croix, a delightful sparkling water that comes in a variety of flavors. I’ve had to cut myself off recently, as the shame of burning through two flats of it in one week was a bit more than I could handle. So of course Claire is writing about La Croix this week. It’s fine; I can handle a little temptation (no I can’t). I can’t talk about this anymore. I’ll be stocking up at the grocery store if you need me. 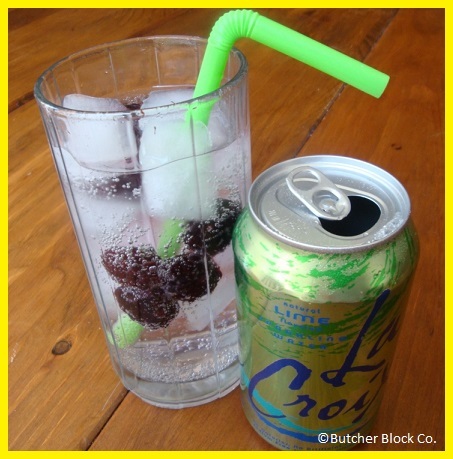 Claire, refresh us with your sparkling wit (and water)! When Labor Day was first conceived, the idea of labor unions was still a relatively fresh one, and somewhat controversial. Celebrating the American worker, taking time to remember that the nation runs on the backs of hard working men and women was a revelation. Like most holidays, I think a lot of the original sentiment has disappeared in our remembrance today. What’s left of the holiday is a day off from work, the reason for which that most people aren’t completely sure they understand, but the weather is nice, so what the heck, it’s a three-day weekend. I have to work on Saturday and get my week’s errands done on Sunday, so for me, Labor Day mostly means that I will be sitting through another backyard BBQ with some of my husband’s work friends that I may have met once or twice a few years back. You might assume that I would prefer to drink my way through an event like that, but in fact just the opposite is true. I’m planning to remain fully sober so I can hop into my car and skedaddle as soon as it doesn’t seem impolite. If I’m not drinking beer or cocktails, I will need to substitute in an alternative beverage. In the face of a hot afternoon among strangers, I am not interested in drinking something sugary and dehydrating like juice or soda. If I stick to water, I’m afraid my boredom will be too obvious to my hosts and someone will try to pour me a drink. I need something fun and refreshing and light in calories to make up for the three hot dogs I plan on inhaling. I need to feel like I’m back in Michigan, floating around the lake on that giant unicorn with a cold drink in my hand. As a Midwestern girl, I have been delighted to see several of my favorite regional beverages hit the national market, including Vernors Ginger Soda, which I love for nostalgic reasons and because I am not a traitor to my home state, but secretly, Vernors will never be my favorite ginger soda. Faygo brand sodas were a staple of my terrible diet in high school, but their reputation has since been tainted by the fanatical devotion of the Insane Clown Posse, so who even cares about Faygo anymore. La Croix’s emergence into America’s consciousness over the last decade has been the most delightful to witness by far. These lightly flavored sparkling waters have fizzed their way into the hearts and homes of consumers across the country, and there is nothing in my California grocery store that thrills me more. Though most stores don’t stock all of the brand’s twenty flavors, the three most important flavors have become fairly available in most grocery stores, and those flavors are of course lime, pamplemousse (grapefruit), and most wondrous of all, coconut, and I’ll fight anyone who says different. on their own, but they also make fabulous mixers. I have been extending the life of a delicious but too-sweet pineapple Jarritos by adding just a small pour to a tall glass of coconut La Croix. The lime flavored is so gentle and versatile, it’s great for basically all cocktails, but I also like to add just some fresh or frozen fruit to make a pleasant warm-day beverage. The grapefruit flavor is a little more tart than the lime, and it is actually perfect with just a little bit of mint and a splash of gin, but of course, I’m leaving the gin at home this weekend. Honestly, my favorite way to drink La Croix is any flavor poured over ice, and then I like to chew on the little ice bits at the end. I haven’t decided which flavor I’ll bring with me to the BBQ, but no matter which I choose, it will be sublime, because each can I open sends me right back to the lake, where I know I truly belong.